A world traveler, photographer, writer and historian, Chandi Wyant has lived in Qatar, India, Italy, Switzerland and England, and has been returning to Italy with unremitting passion since she first lived there at age twenty. She holds a Masters degree in Florentine Renaissance history and is the former head of Sogni Italiani, an events planning firm specializing in weddings, vow renewals, and honeymoons in Italy. The manuscript of her memoir, Return to Glow (2017), won third place in the 2015 National Association of Memoir contest. 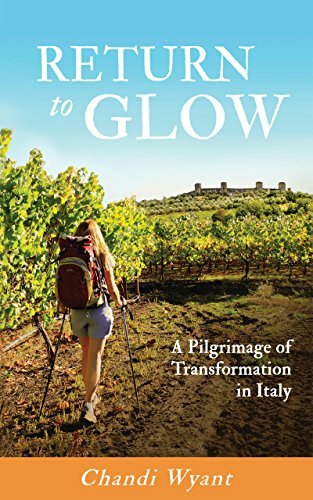 If you came across Chandi Wyant’s fascinating memoir Return to Glow: A Pilgrimage of Transformation in Italy, you might note the athletic-looking blonde woman on the cover and think, “Oh, this is a rip-off of Wild,” and pass it by. You would be missing out on a story that shares the barest of similarities with that oh-so-famous book – “woman heals herself emotionally and spiritually by taking a long hike” – but is absolutely original. Even more, I found this book to be highly engaging, and really uplifting, though, forgive me, I will remain an armchair hiker. When we first meet Chandi, she is recovering from the emergency appendectomy she had to undergo while on vacation in Italy, a relatively routine surgery that was complicated by sepsis. Back in the states, still healing physically, Chandi is also in the midst of a divorce, and is re-evaluating her life. 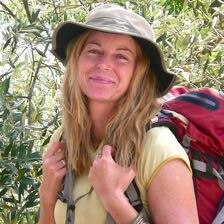 A variety of factors, including the sometimes bone-deep chill of Boulder, CO, during a damp winter, sends Chandi on her new mission: she will walk across Italy. Research is begun – are there trails? Are there convenient stops on the most promising route? Finally something connects: Chandi will hike the Via Francigena – the road that connects Canterbury to Rome. Of course, Wyant’s route doesn’t actually start in England, but at the Italian border – a 40-day hike on this ancient trail, sometimes in solitude, sometimes running into strangers and sharing their stories. 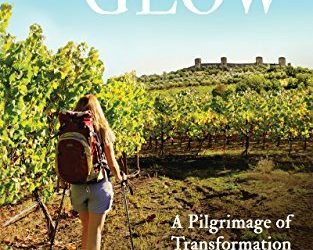 There’s time in a convent, and time on the open trail, and the entire story meshes beautifully as the author’s hike leads her, not just to one of the world’s most famous cities, but back to her best self, back to her glow. In some ways, each chapter of this book felt like a separate essay, but there was still connection. Part travelogue, part memoir, I found Wyant’s writing style to be intimate and conversational, her descriptions as vivid as the photos she takes. If you read only one “personal transformation” memoir this year, make it Return to Glow. After reading it, I felt closer to my own glow, even without the physical pilgrimage. Goes well with roasted chicken and vegetables and a glass of wine.